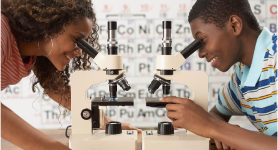 The Pacific Science Center (PSC) received a National Science Foundation (NSF) grant to explore the effectiveness of face-to-face interactions between scientists and the public in raising awareness and literacy of science issues. The NSF grant funded the museum’s Portal to the Public project. As part of the project, PSC was to convene a two-day workshop with three distinct groups of experts to address questions specific to the theory and practice of this methodology. RRC was hired to aid in designing the workshop process and accompanying materials, to facilitate the session, and to assist in drafting a final report of findings. The Sierra Nevada region is of vast importance to the well being of the nation, not only for its abundant recreational opportunities, but as the main source of California’s thriving agriculture, energy production, and domestic water supplies. Landscape change, including the effects of global climate change, shifting fire regimes, patterns of human land use, and other ecosystem stressors could have a significant influence on the natural resources associated with this area. In recognition of this, four entities entered into a cooperative agreement to jointly develop a program of research, resources management, and public education to help mitigate the impacts from and adapt to climate change effects on ecosystems of the Southern Sierra Nevada. These entities include: the USDA Sequoia National Forest and Pacific Southwest Research Station; the USDI, Sequoia and Kings Canyon National Parks and the USGS Western Ecological Research Center. As a first step in this effort, the agencies agreed to hold a public science symposium that would provide a platform for scientists to share their knowledge. The symposium was augmented by a poster session of current science research projects and was followed the next day by a series of round table discussions between the scientists to begin to develop a broad list of information needs related to climate change and the future of the Southern Sierra Nevada ecosystem. From this work, a joint science agenda will be developed. The symposium was attended by nearly 200 attendees representing the public, land management agencies, academics, public interest groups and others. The event was a success, engaging and highly informative, providing an important foundation for the work to come. The round table discussions produced important perspectives on the priority information needs for the Southern Sierra. RRC was hired to facilitate the symposium and to aid in designing the round table discussions, and drafted reports of both days’ sessions to inform the joint research agenda. Update on the Science Symposium; download the reports: Day 1 Report and Day 2 Report.